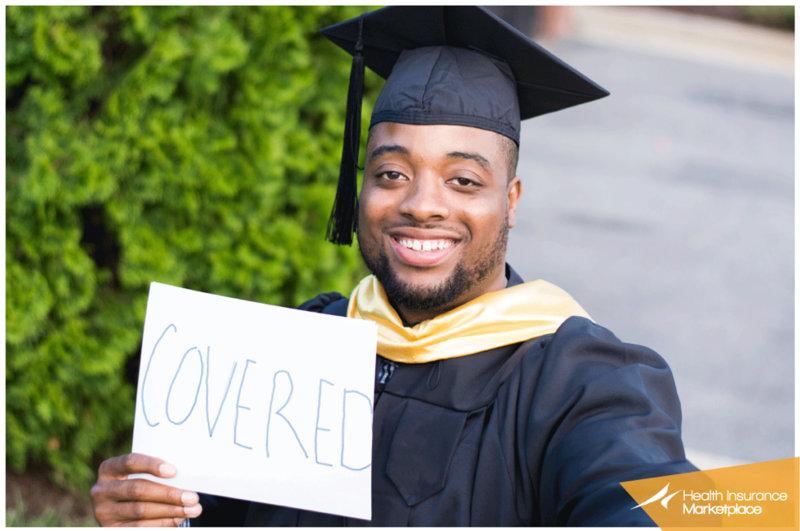 If you are off to college, you have many options for getting health insurance coverage. You may think that there are few health insurance options for college students. The fact is that students have many choices when covering their healthcare needs. Since the Affordable Care Act passed, children can stay on a parents' health plans until age 26. Assuming their parents' plan offers dependent coverage, that is. Not all plans do, and the federal government currently doesn't require it. The majority of group plans available now provide this kind of coverage. There's one potential pitfall. If your school is out-of-state, there may not be any in-network providers available. You or your parents may want to check with your insurer before school starts. Ask how the company deals with out-of-state emergency care. A way around this is by scheduling preventative care visits during visits with family. That way you can still access in-network physicians and specialists. If a parent's policy isn't an option, look at a plan offered through your school. Not all schools make health plans available, although a good number do. Also, not all plans offered in this way are created equal. Some are directly through the school, which handles and pays any claims made. Others are through a partnership with an insurer, with the latter entity handling claims and such. A benefit of school-sponsored health plans is that they can be added to a student's education-related costs. This means student loans can be used to cover them. Some plans offer coverage that is more limited than other policies. Make sure to read the fine print. You'll want to understand what's included before you make a final decision. If you're covered by a school's plan, you're probably also covered by the ACA. This means you won't have to pay the penalties people without coverage pay. Check with a representative at your school to make sure their plan meets the ACA's minimum requirements. 3. Purchase a policy through the government's "marketplace"
For some, a policy through the ACA makes more financial sense than through their school or parents' plan. You could qualify for lower monthly rates, tax credits, or other savings depending on your annual income. Here's a "Quick Check" chart to see if you qualify for lower health coverage costs. If you're under 30, there are "catastrophic" health plans if no other options work. A big plus of these policies is that they can offer lower premiums than other health insurance policies. That lower initial price tag comes at a cost, though. These policies also usually offer higher-than-normal deductibles. Most “catastrophic” plans don't cover routine care. However, some include preventative assessments visits and care at no cost. Don't assume that will be true of every policy of this type, though. Ask your agent what a plan includes. Even if these visits are paid out-of-pocket, it still can be worth it. These plans protect you from the high costs that can follow accidents and illnesses. State Medicaid programs have expanded through the ACA. They now cover adults under 65 with incomes below federal poverty level. 26 states have expanded or are in the process of expanding their offerings. If you live in one of them, consider Medicaid if no other options included here will work for you. Find out about Medicaid expansion & what it means for you. If you don't know if you qualify for Medicaid coverage, it can't hurt to apply and see what happens. In fact, that's basically what the government suggests people do. The Affordable Care Act requires most Americans to have "qualifying health coverage." Only those who are single, under 65, and make less than $10,000 a year are exempt. Q: Does health insurance exist that's specifically for college students? A: Yes, many colleges and universities offer students health plans. These plans feature various amounts and kinds of coverage. Q: What happens if I stay on my parents' health insurance plan, but while I'm on it I turn 26? A: Unfortunately, this coverage has a hard expiration date of your 26th birthday. You have several options if you're forced off your parents' policy. If open enrollment has passed, you can get a policy through an exchange's "Special Enrollment Period." You may be eligible for premium tax credits and other savings based on your income. Be sure to check into them as you review your options. Q: Do my parents have to keep me on their health plan if I'm under 26? A: No. If they decide to take you off their policy, that doesn't mean you're out of luck. You'd have the same options as anyone else who lacks health insurance. You could look at most of the other offerings detailed earlier. Q: I'm under 26, but I'm not a dependent. What are my options? A: HealthCare.gov says that if you're under 26 but aren't a dependent, you can apply for your own health insurance. But at the same time apply for a tax credit. Q: My parents' health plan doesn't cover dependents. What am I supposed to do now? A: If your parents' coverage doesn't extend to dependents, you'll have to find your own coverage. About our guest blogger: Aaron Besson is a health insurance writer for QuoteWizard, an insurance comparison website. He enjoys reading and traditional Mexican food. All comments are moderated and must be approved before they are visible. Thanks for dropping by!